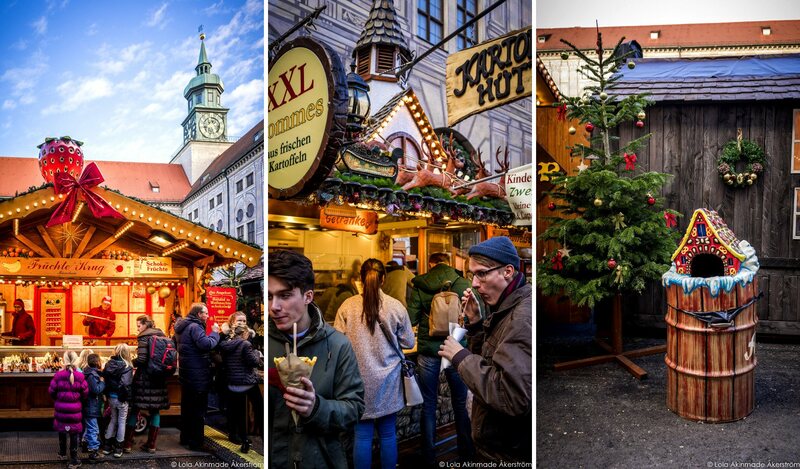 The Christmas Market Munich offers is one to remember… Originally published January 2017. One of the things I love doing when traveling is not only connecting with local friends and catching up over some good food, but also connecting with friends who are subject-, regional- or niche experts on various topics and having them guide me through their worlds via that channel. Not only does my travel experience become much richer and deeper, but it is also a wonderful way of slow traveling through a destination by digging deeper through a specific theme. Meet my fabulous friend Laurel Robbins. She’s the professional travel blogger behind the award-winning Monkeys and Mountains Travel Adventure blog and a social media expert who has contributed to several high profile publications (think, BBC Travel) and has spoken at over a dozen conferences. Laurel is also an expert on all things Munich and Bavaria, Germany, where she happens to live with her German husband. 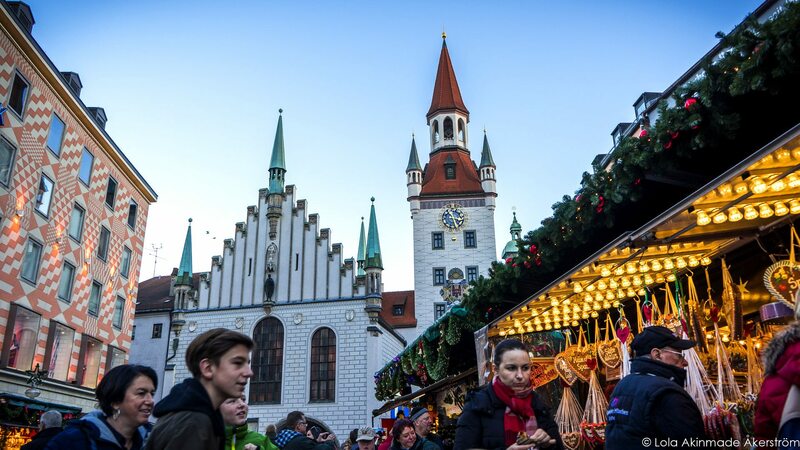 As luck would have it, she had just published her eBook, “Bavaria’s Top Castles and Christmas Markets” (€2.99) while I was recently visiting Munich for the Germany Tourism Brand Summit. With limited time to explore the city on my return trip, I decided to focus on just exploring Munich’s Christmas Markets which are known worldwide. And who better to act as my guide to her city than my friend Laurel who’d just published the definitive guide to Munich’s Christmas Markets? 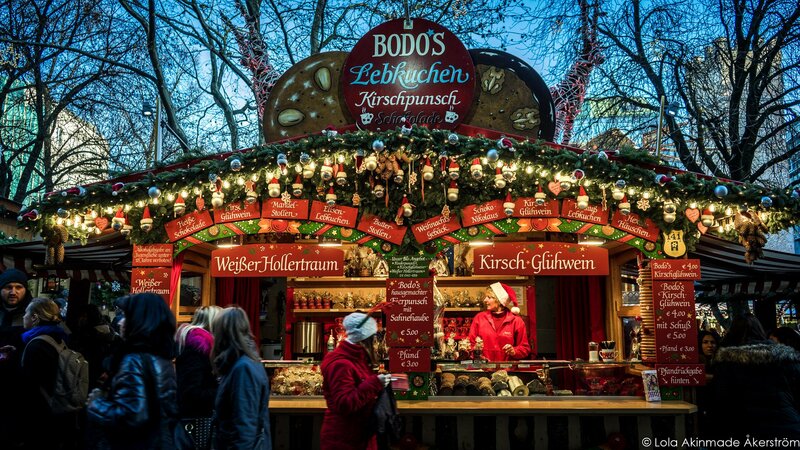 With two dozen Christmas markets (yes, that’s 24 markets!) in the city alone, we focused on four markets – The Medieval Market in Wittelsbacher Platz (near Odeonsplatz) which is Laurel’s personal favourite, The Christmas Village in the courtyard of the Munich Residenz, Sternenplatzl at Rindermarkt, and the more touristy Christmas Market at Marienplatz. If you’ve never been to a Christmas Market before, I’d encourage you to at least visit one in your lifetime. From the sweet wafting smells of candied almonds, cinnamon sugar, and other sweet seasonal pastries to people cradling warm mugs filled with spicy mulled wine (Glühwein), all amidst vibrant, colorful, twinkling displays of lights, decorations, ornaments, and other knick-knacks for sale in wooden stalls. But what you really remember when visiting a Christmas Market is that joyous warm feeling that the Christmas season brings. Where looking at dancing bears and toy trains running on tracks in store display windows feels absolutely normal within context, harkens to your childhood, and helps you revel in the simplest of mundane things joyfully. I had a wonderful time exploring with Laurel (thank you so much!) and here are some of my photos from the fabulous Christmas Market Munich has to offer. You can view more photos of Munich’s Christmas Markets in my image bank, and be sure to pick up a copy of Laurel’s book “Bavaria’s Top Castles and Christmas Markets” for just €2.99. Includes Amazon affiliate links.